LET THE DEATH GAME BEGIN! 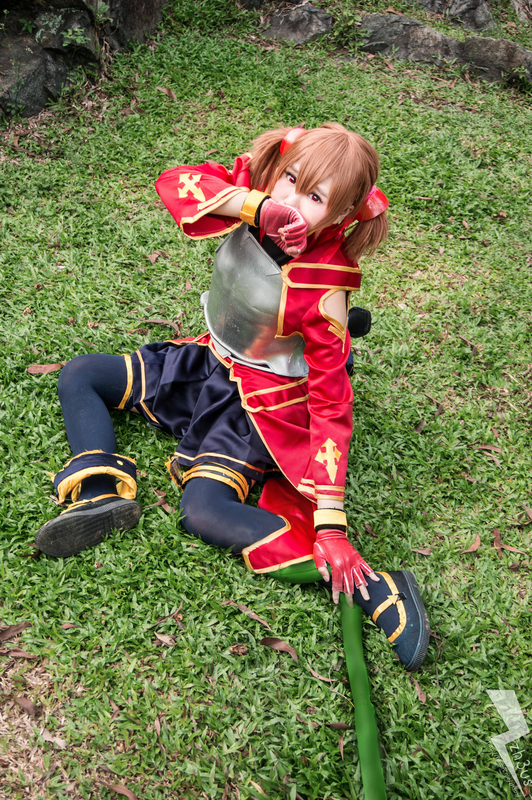 Today we have JIAWENNY as Silica-Chan from Sword Art Online! REVIVE THE PINA DRAGON THING! She jumps over fences too. Armed with a Kirito Plushie. Went to a nice place with the “Sword Art Online” Feel in Singapore. I think that its prolly only this place that looks remotely like it! Take a break, my little angel. This entry was posted on November 28, 2012 by zh3us. It was filed under Cosplay, Visual and was tagged with armor, art, awesome, child, clothes, creature, Cute, Death, deathgae, deathgame, dragon, dragon creature, game, girls, grub, inna, loli, mountains, online, piina, piinna, pina, pinna, red, sao, silica, sword, sword art, tamer, trapped, winderness.